Kouvola is a town and municipality in southeastern Finland. 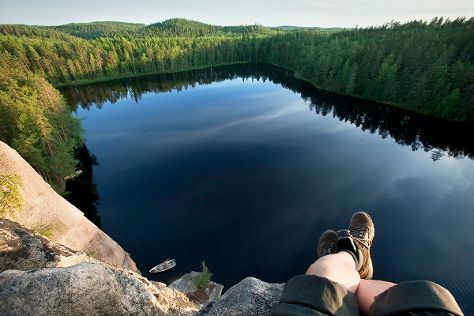 Kick off your visit on the 31st (Wed): explore the striking landscape of Repovesi National Park. On your second day here, steep yourself in history at World Heritage Site - Verla Groundwood and Board Mill, then identify plant and animal life at Niivermaki Nature Conservation Area, and then pause for some serene contemplation at Pyhan Ristin kirkko. Paderborn, Germany to Kouvola is an approximately 14-hour flight. You can also drive. The time zone changes from Central European Time to Eastern European Time, which is usually a 1 hour difference. In July in Kouvola, expect temperatures between 24°C during the day and 14°C at night. Cap off your sightseeing on the 1st (Thu) early enough to catch the train to Lappeenranta. 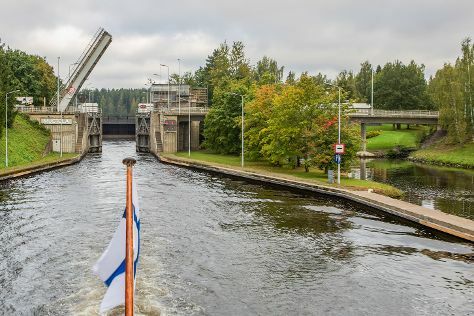 Start off your visit on the 2nd (Fri): explore the historical opulence of Sandcastle Lappeenranta, then see the interesting displays at Lappeenranta Fortress, then take in the architecture and atmosphere at Church of the Intercession of the Mother of God, and finally explore the activities along Saimaa Canal. Here are some ideas for day two: admire nature's wide array of creatures at Korpikeidas, then take in the spiritual surroundings of Lappeen Marian kirkko, and then examine the collection at Wolkoff House Museum. For more things to do, reviews, and more tourist information, read Lappeenranta online road trip planner . Getting from Kouvola to Lappeenranta by train takes about an hour. Other options: drive; or take a bus. 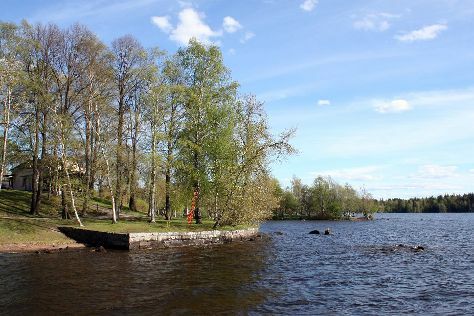 In August in Lappeenranta, expect temperatures between 23°C during the day and 13°C at night. Finish your sightseeing early on the 3rd (Sat) so you can drive to Savonlinna. On the 4th (Sun), appreciate the history behind Olavinlinnan Musta Passi, see the interesting displays at Savonlinna Provincial Museum, step into the grandiose world of Olavinlinna Castle, make a trip to Pikkukirkko, then pick up some local products at Savonlinna Market Square, and finally explore the historical opulence of Savonlinna Cathedral. 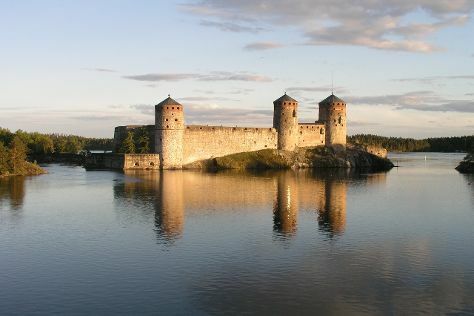 To see traveler tips, other places to visit, more things to do, and other tourist information, use the Savonlinna online day trip planner . You can drive from Lappeenranta to Savonlinna in 2.5 hours. Other options are to take a train; or take a bus. Expect a daytime high around 22°C in August, and nighttime lows around 13°C. Finish up your sightseeing early on the 4th (Sun) so you can travel to Kuhmo. Kuhmo is a town and a municipality in Finland and is located at the south-eastern corner of the Kainuu region. On the 5th (Mon), look for all kinds of wild species at Wild Taiga and then identify plant and animal life at Boreal Wildlife Centre. To find reviews, maps, photos, and more tourist information, read our Kuhmo trip planner . Traveling by car from Savonlinna to Kuhmo takes 5 hours. Finish up your sightseeing early on the 5th (Mon) so you can travel to Tampere. Get a sense of the local culture at Sarkanniemi Theme Park and Tampere Cathedral. There's much more to do: look for all kinds of wild species at Hatanpaa Arboretum, see the interesting displays at Mediamuseo Rupriikki, pause for some serene contemplation at Finlayson Church, and tour the pleasant surroundings at Pyynikki Park and Observation Tower. To find ratings, where to stay, and more tourist information, read our Tampere attractions app . Getting from Kuhmo to Tampere by car takes about 7 hours. Other options: fly. In August, daytime highs in Tampere are 23°C, while nighttime lows are 11°C. Wrap up your sightseeing on the 9th (Fri) to allow time to travel back home.